Yes, Its meeting the people during the travel which gives me kick. They are the best part of my travel life. Traveling alone gives you that rare chance of meeting strangers. Low cost student/youth hostels are the best place to catch other travelers. Its the best place to hear good stories at the cost of by two chai. I met many on the road. A guy from England who was traveling alone in Asia taking off from his work. I met this high school teacher (don’t remember her name) from Finland in Udaipur. She introduced herself as the lady from land of Nokia. I had to tell her that I know Finland for a different reason! To my surprise she knew Linus and she started speaking about Indian IT personality who owns a big IT company in Bangalore. Being an Infoscion it was not difficult for me to guess . In Jaipur I met these two wonderful people on Govt bus stop. We traveled together the whole day. It was just pure fun to exchange our feels about each others nation (India, US and Italy). One common question for any traveler from other co traveler was “Which are all the places (including countries) you been until now?” and one common answer from my side was “Well. Not many. Certainly less than your count”. Plans are being made to add some more countries to my list before this summer gets over :) I will write about it once I have something concrete. 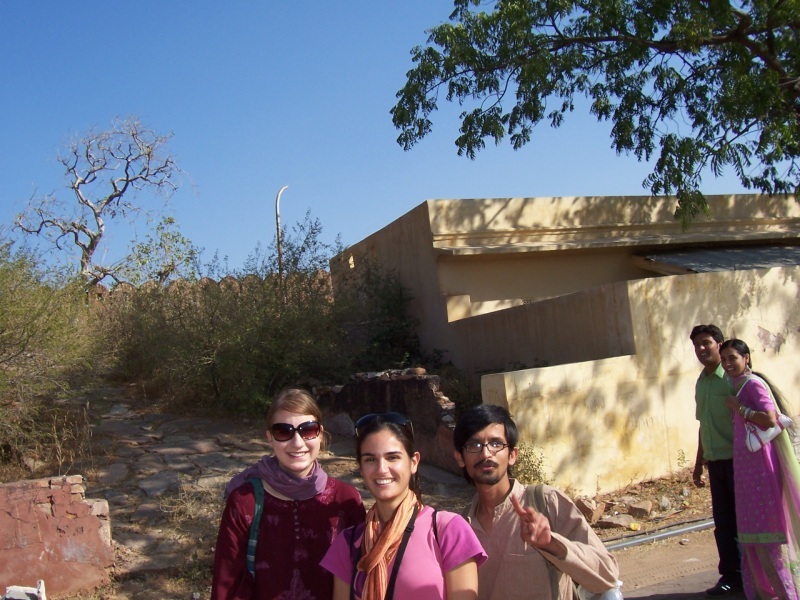 PS: I wrote all this because Carlotta ( girl in the middle) sent me this picture which she took at Jaipur fort using timer. True. Its the best part of journey. 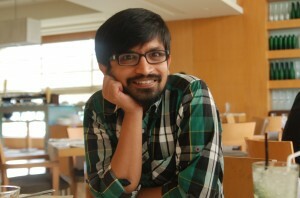 I remember such incidents which has stayed with me for long time now .Really fun reminiscing it!! and ofcourse, be in touch with those people. Yeah. It is nice to meet strangers, only the sane types, I mean. Have had some funny experiences with insane ones.